I have met Adrian in this beautiful country. Adrian is originally from Germany and had taken 4 months sabbatical leave in 2014 to visit Australia. He had fallen in love with this country and decided to quit his job in Germany. He hated the thought of going back and continuing working in an office. We’ve lived and traveled together during 10 months in Australia and Indonesia. And now, our common goal is to keep on exploring the world together! Europe, South East Asia, South America, Oceania… Exploring those continents opened my eyes. Staying in France, working 9-5 my entire life, not able to travel as much as I want to because of the “dream-house”, I said: NOT FOR ME! 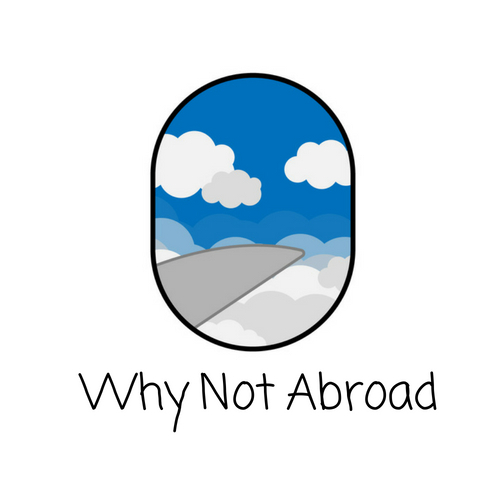 After the end of a long relationship, I moved to my mum’s place with one goal: working as much as I could to save money and find the courage to start my first long-term trip on my own! THERE YOU GO! To save money, I basically stopped spending money! I sold all the stuff I didn’t need and haven’t used anyways, and trust me there was a lot! In 2015, when I came back from Brazil (it was crazy), I was feeling down. I just wanted to stay abroad. So at the end of my working contract in France, I applied for a Working Holiday Visa in Australia. Straight after approval, I bought the one-way ticket! FINALLY! Lucky me, one of my friends, met me in Melbourne and helped me to find a job. I stayed 2 months in Tasmania, worked at a blueberries farm, and met there two awesome Canadian Girls with whom I traveled through Tasmania and South Australia. AND THE ADVENTURE BEGAN! After few weeks on the road, I decided to work more, to save more, TO TRAVEL MORE! So I arrived at Berri Backpackers and this is THE place where I met THE guy who was going to change my life! I was almost on the way to Melbourne as this girl crossed my way. As a solo traveler, you sometimes think about that moment you truly find a person you can think spending your time with. I told myself good things happen to good people Adrian. Ah, by the way, I’m Adrian and the girl that I’m talking about is Amandine. She is from France and when I met her the first time her English wasn’t the best! However, I remember the first days were all about “breaking the ice” and communicate more with playing and laughing together than deep conversations but it was so great! We played Skip-Bo, enjoyed the pool and drank goon!! (I will tell you just in a minute where this is all happening, stick with me). It was beginning of March 2016 and I was living for three months in Berri, South Australia. Working was the main purpose of my staying and it was time for me to move on, to start a new chapter. But who is saying you have to move to start a new chapter? The new chapter can also come to you once in a while hopefully. And yes, that’s what happens to me. My plans changed and I started my new adventure on the spot in one of the most beautiful hostels with the most beautiful girl you can think of. We started finally to live together under one roof in our dog house, see picture below. It was a perfect place to stay together but still to have this hostel environment and live with people from all over the world. We stayed in the Riverland (SA) for around 4 months and saved enough money to travel the rest of the year through Australia and Indonesia. It was an amazing time, I’m more than happy I had the chance to meet her! Get in Touch with us! We would love to hear from you. The best way to get in touch with us is by e-mail. Feel free to drop us a mail through the contact form — We reply to every e-mail we receive. You can also find us online on Facebook, Youtube, and Instagram.